The Chapel Hill Veterans Memorial project will be a living memorial to honor the men and women who have served our country in uniform. contemplation. The final design will be an inviting and quiet gathering place that will welcome all cemetery visitors for a moment of quiet contemplation. Click on the first two images to get larger pictures of what the Memorial will look like. 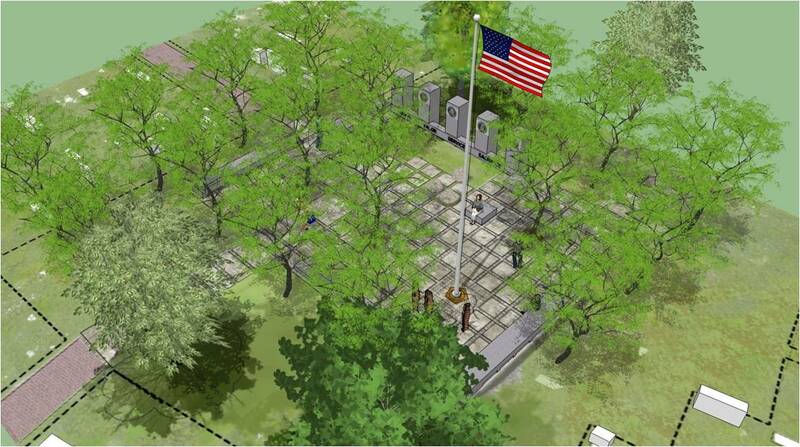 A bird’s eye view rendering of the Chapel Hill Veterans Memorial. Schematic drawing of the Veterans Memorial, showing the engraved text on the stones. 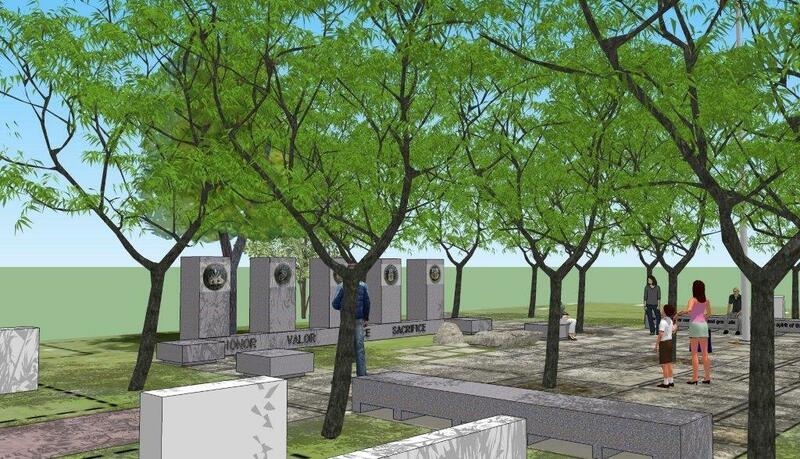 A side view rendering of what will be a very moving memorial to Chapel Hill’s veterans.